Whilst the laws governing such crimes are strict, high premiums sold by legitimate insurance companies combined with a lack of effective industry controls, cultivates the perfect environment for the proliferation of fraud of this type. And while the impact is clear on the policyholder. Insurance companies they’re always happy to accept your premium payments but when unfortunate events they fight tooth and nail to keep you from receiving the coverage you deserved. There is rare example other business where the customer isn’t always right. At kuverit we believe insurance companies should focus on customer care by leveraging block chain technology coverings insurance application allows us to spread risk and reduce the overhead cost facing traditional insurance companies most importantly. It allows customers to have increased transparency over those policies. The kuverit digital token power this transparency by allowing everyone to pay their premium with it on our insurance network. 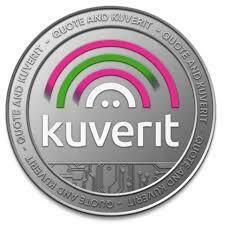 The kuverit token will be the first insurance block chain crypto currency that will be tied to insurance clam processing and creating the world’s first completely decentralized platform for insurance without a centralized or authority like a bank deciding who is and isn’t they. Communities that don’t have access to traditional financial services can finally access the benefits of insurance. The Kuverit application powered by kuverit digital tokens is launching soon on windows, ios, android and five explorers. Although 2018 was a strong year for insurers, predominantly bolstered by economic growth, long term challenges present considerable friction points for current insurance models and methods. Chief amongst these are issues concerning the in transparency of commissions and fees structures, poor customer service and fraud. In this white paper, we introduce Kuverit, a peer-to-peer (P2P) Guarantor application and insurance company which will provide customers with a service that delivers genuine value, improved oversight and fairer results. one of the biggest financial markets in the world (worth around US$4.8 trillion in premiums annually), PWC’s latest CEO Survey discovered that a higher percentage of insurance CEOs, compared to any other, are extremely concerned by threats to their growth prospects. Namely, the threats from over-regulation, the dramatic speed at which technology is progressing, changing consumer behavior, and new entrants into the market are all conspiring to strain classic business models. At the same time, factors such as fraud, fake policies and inefficient processes are causing considerable problems for current companies and require ever more urgent attention. Given the insurance industry’s legislation laden nature and multi-actor structure, it has been slow in adopting cloud computing to improve oversight and efficiency. Although, with 70% of insurers now using the cloud as an integral part of their operations, maximum penetration is finally not far off. However, attention is now shifting to the optimization of such networks, with a focus on the areas of speed, flexibility and scalability, which can support the trend towards cost saving and pay-as-you-consume models. This will mean considerable reinvestment for insurance companies that want to remain competitive, which, if past adoption has taught us anything, will be a lengthy process. Even more worrying is the revelation that not enough of customers’ premiums are ultimately available to pay claims as they are consumed by commissions, operating expenses and the cost of assessing claims. This is the acerbic symptom of an industry in which there is a complete lack of transparency. The required level of disclosure of commissions, fees, expenses and investment income on premiums varies by jurisdiction, as does the requirement to properly inform customers about the terms and conditions of contracts. Fundamentally, it is an industry that relies on the consumer to cough up their capital, whilst the companies themselves obscure their inner workings and often deliver substandard protection. Though it is not just inadequate, industry-wide standards that are causing the industry to falter, there are external machinations which are a further cause for concern. The production of fraudulent insurance products by illegal insurance advisers – or ghost brokers – has become somewhat of an art form, with fake health plans and motor vehicle insurance among-st the most popular modes of conning consumers. Those scouring the internet for deals on their insurance policies often find products offering incredible value for money on legitimate-looking websites, and do not consider that the policy itself could be fraudulent as, perceptually, fraud in this industry is conducted the other way around. To take motor vehicle insurance as an example, a fraudulent policy is either sold as a doctored policy bought from legitimate insurance companies with false information, or a purely fictitious policy bearing the logo of a legitimate insurance company. Having paid for the policy, they believe they are protected until they are stopped by the police or need to make a claim. Depending upon the situation, the ‘policyholder’ may lose their license, have their vehicle seized and even pay costs in the case of a crash. Concerning the latter, consumers can end up footed with a bill in the millions. Whilst the laws governing such crimes are strict, high premiums sold by legitimate insurance companies combined with a lack of effective industry controls, cultivates the perfect environment for the proliferation of fraud of this type. And while the impact is clear on the policyholder, legitimate insurance companies are losing out on revenue and must re-actively repair reputation damage.